These clear cellophane bags with green shamrocks are perfect for any small Irish gift and are just grand as party favors on St. Patrick's Day. 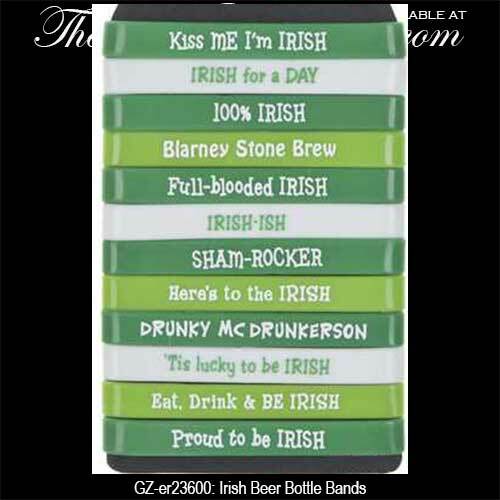 Fill the St. Patrick's Day gift bags up with goodies or use them to store the leprechaun's gold. 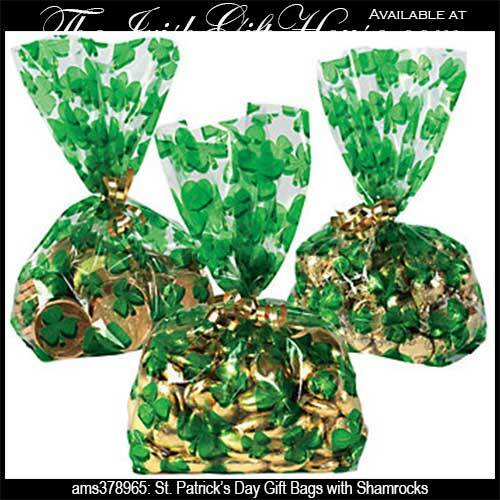 You receive 20 - 5" wide x 11" tall shamrock gift bags per package and green twist ties are included.